Most people, even non-gardeners, are familiar with tulips. They’re commonly used for all sorts of flower arrangements, and they appear in gardens all over the world. These simple flowers are go-to plants for both experienced and novice gardeners. 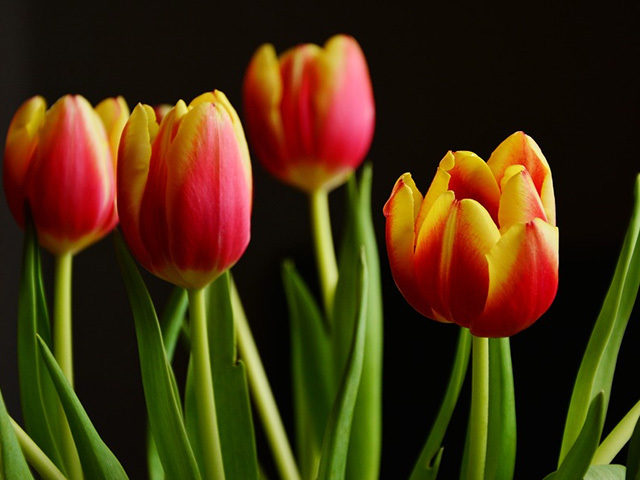 If you’re interested in growing your own tulips, read on! This guide will equip you with everything you need to know about tulips with guidance on how to grow yours own. Easy to find, standard tulips have a reliably colorful bloom that may continue to hold up for several years. The stems are strong, making them ideal for cuttings and bouquets. Single tulips can be either the “early” or “late” variety, depending on when they bloom. These are a classic, well-performing choice. 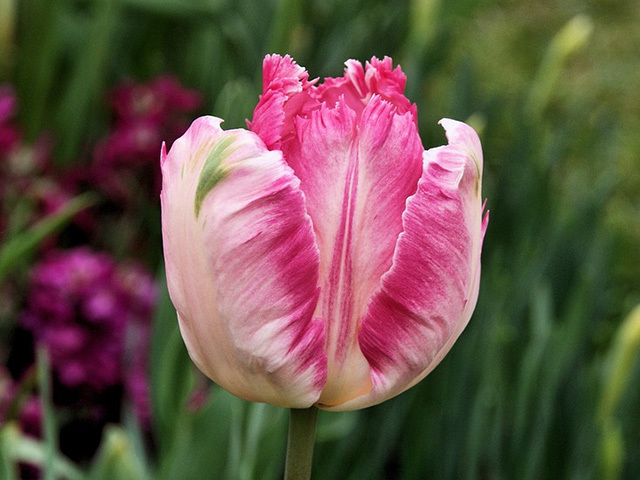 Also coming in “early” or “late” varieties, double tulips have multiple layers of petals for a more decorative look. The blooms can be a bit heavy for the stems. 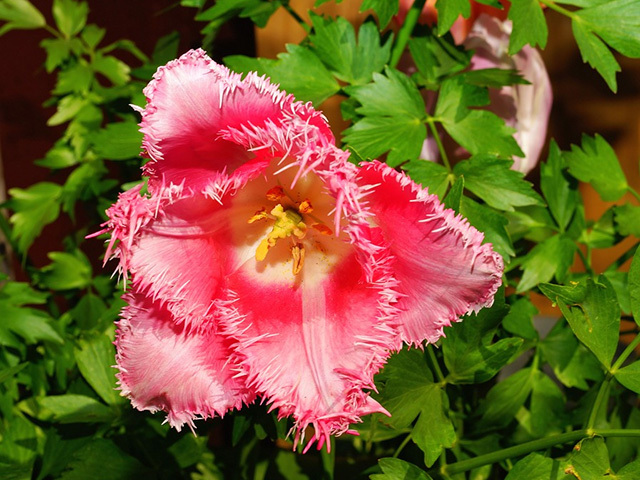 This popular variety is a cross between single late tulips and Fosteriana tulips. They’re sturdy and tall, with large colorful blooms that last year after year. This variety is also known as “Crispa” tulips. The edges of the petals have a fine, wispy texture that makes this a unique and attractive flower. Another interesting species, these tulips have petals with edges that look like parrot feathers. They’re quite extravagant-looking. These tulips are a cross between single early tulips and Darwin Hybrid tulips. They come in a huge variety of colors and have a cup-like shape. This variety features giant, bowl-shaped flowers in a delicate color palette. 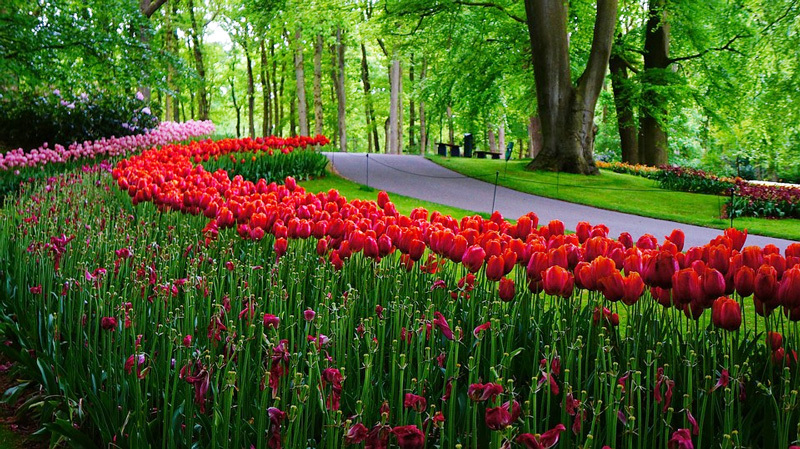 The proper timing depends on the specific variety of tulip. However, many people love to grow standard tulips because they’re one of the first flowers to bloom in Spring, providing a much-needed burst of color after a long winter. If you’re planting one of these standard varieties of tulips, follow these guidelines for the proper timing. For spring blooms, you’ll need to start preparing to plant in the fall. 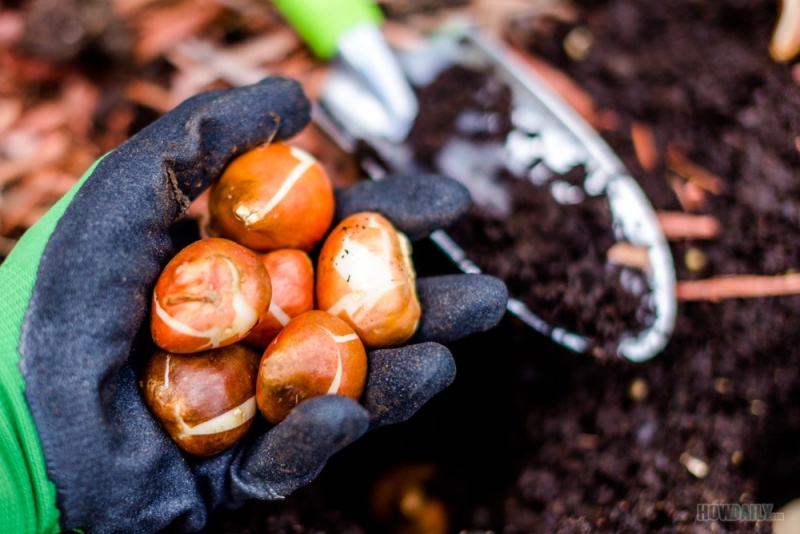 You need your bulbs in the ground before the first ground frost of the season, since frost hardens the soil and makes it much more difficult to plant. You can find the approximate date of the first frost in your area by looking at any gardening almanac and calculate your planting date accordingly. It’s not a good idea to plant your tulips too early, either — they may bloom before the first frost, at which point the frost would kill them off. The idea is to plant them in fall, allow them to lay dormant during winter, then watch them bloom in the spring. If you’ve already missed the fall planting time, you can also plant your tulips once the ground warms up in spring, though you’ll have to wait a while longer to see blooms. One last important note: don’t wait too long to plant your bulbs after buying them! They can dry out and become less viable if they’re left out for too long. There are a few factors to keep in mind to pick the best spot possible for your tulips. These flowers are easy to grow and make a wonderful accent for any garden or landscape. They can also grow easily in neat, orderly rows. Choose a spot with plenty of sun and light shade. Tulips prefer either full sun or afternoon sun, though in hot climates they appreciate a shadier spot or a spot with morning sun only. Do not choose an area that becomes excessively damp over time, as tulips loathe wet conditions. If you’re planting a tall variety of tulip, steer clear of areas that become very windy. 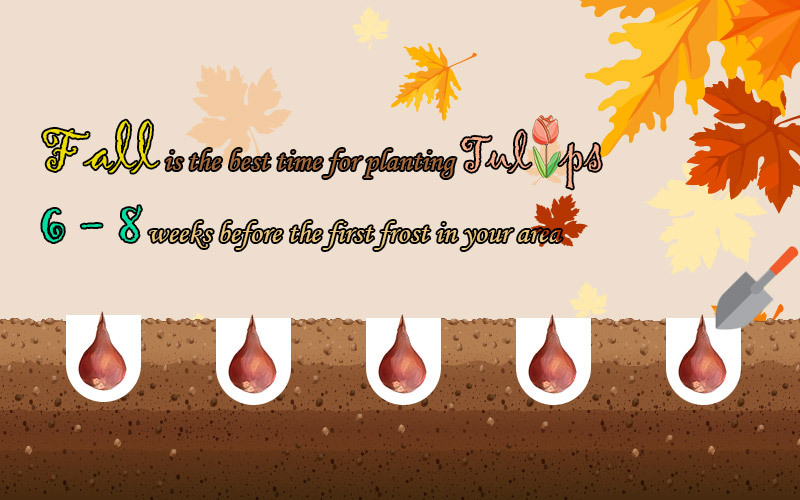 Once you’ve chosen your location and time, you’re ready to plant your tulip bulbs. Each bulb will provide about one to four stems, each with its own blossoms. Choose bulbs that are firm to the touch for best results. 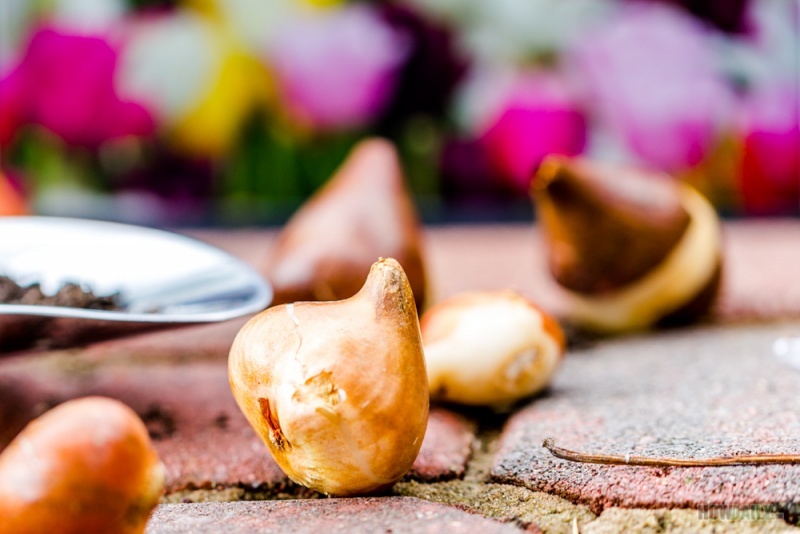 The bulbs also need to roughly match the cool temperature outside, so if you live in a warmer climate you may need to refrigerate them for a while before planting. 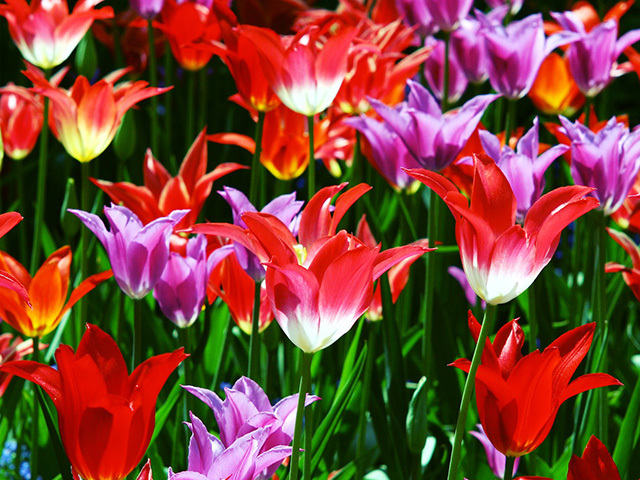 Tulips are hardy plants that can grow well in most soils as long as there are both sufficient aeration and moisture. First, dig a hole about six to eight inches deep from the base of the bulb. As you dig, clear the soil of rocks, weeds, roots and other items that could impede your flowers’ growth. Space the holes four to six inches apart. In each hole, place one bulb with the pointed side facing upward. Then, sprinkle the dirt back into the hole to cover the bulb. Gently pack the soil down with your hands to hold the bulbs firmly in place. Lastly, lightly water the bulbs. You don’t want to soak them since that could encourage rotting. Instead, a light watering will do. That’s it! Don’t water the bulbs again unless the ground becomes extremely, excessively dry. Normal weather conditions provide plenty of water for these blooms. All that’s left is to be patient and wait for your tulips to bloom in the spring. Tulips are a relatively low-maintenance flower as long as the conditions are right. They need little water, and in fact can easily become diseased or rotted if conditions are too wet. The solution, however, is simple: don’t water your tulips! Unless there are extreme dry spells during the fall, you don’t need to give any extra water to your tulips aside from what nature provides. If conditions become rainy in your area, just add some sand or shredded pine bark to help the soil drain more quickly. Tulips are perennial plants, which means that they can continue to grow year after year with proper maintenance. If you intend to grow your tulips for several years, feed them with a high-quality plant food right after planting. You should also apply compost annually. As with many other flowering plants, it’s important to remove dead flowers from the plant to encourage future blooms and a healthy plant. Even healthy perennials may need replanting every few years, but with proper care, you can get several years of beautiful blooms from one set of tulip bulbs. 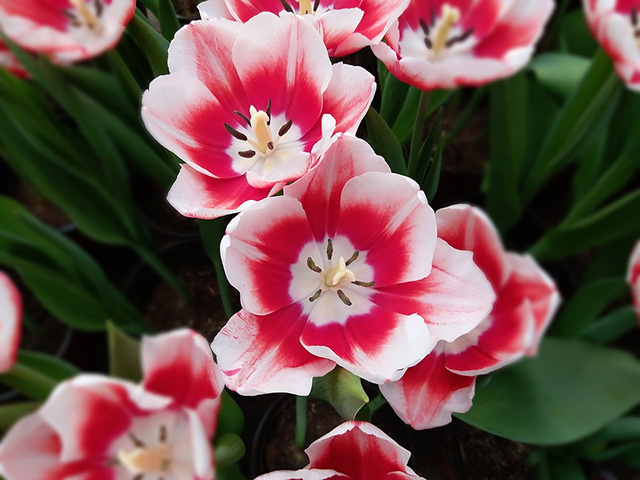 Tulips are perennials, which means that they will come back year after year if the bulbs are either left in the ground or “cured.” Curing your tulip bulbs makes them available for planting the next year. It’s most useful for weak-seeming plants that may not survive the winter in the ground on their own. After removing the dead wilted blooms and letting the foliage yellow for about six weeks, it’s safe to dig up your bulbs. 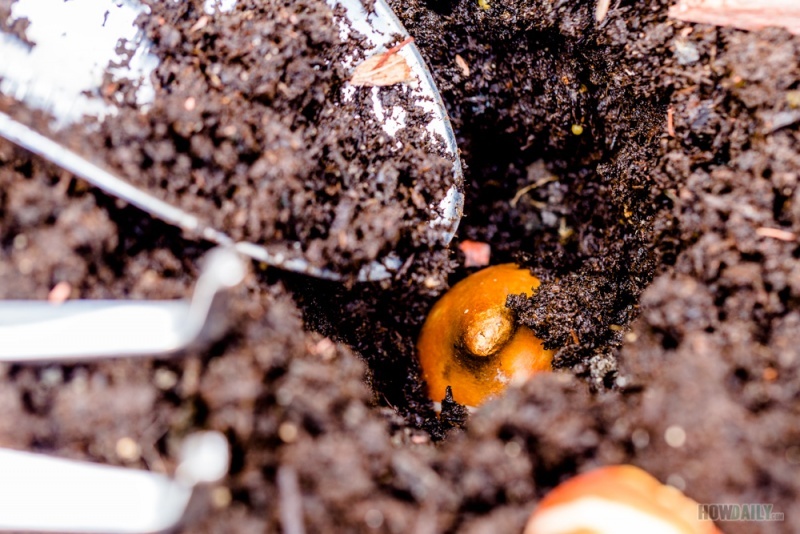 Dig a hole about eight inches deep around the plant, giving the bulb plenty of space to prevent accidentally cutting it. Then, with your fingers rather than a tool, take the bulb out of the soil and remove any dirt and dead foliage. To cure these bulbs, place them into a box filled with sand. Three-quarters of the bulb should be beneath the surface, and the bulbs should not be touching each other. Store the box in a cool, dry area and leave them there until spring, when you can follow the planting procedure again. Once you’ve successfully nurtured your tulips to full bloom, you probably want them to last all season or perhaps even multiple seasons. The last thing you need is a pesky disease affecting your flowers. 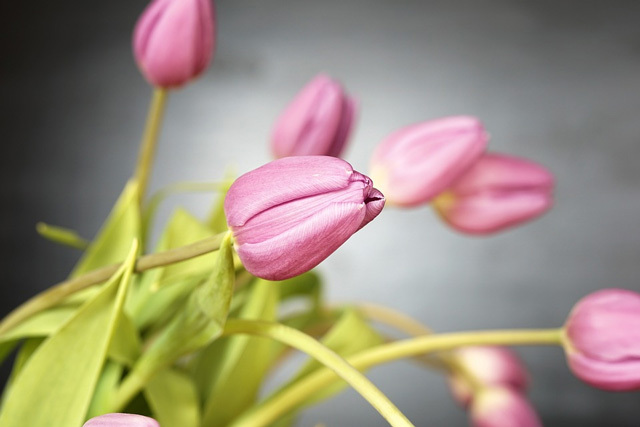 Here are a few of the most common diseases to be aware of in tulips. Botrylis blight: This fungal disease is also known as mycelial neck rot or tulip fire. 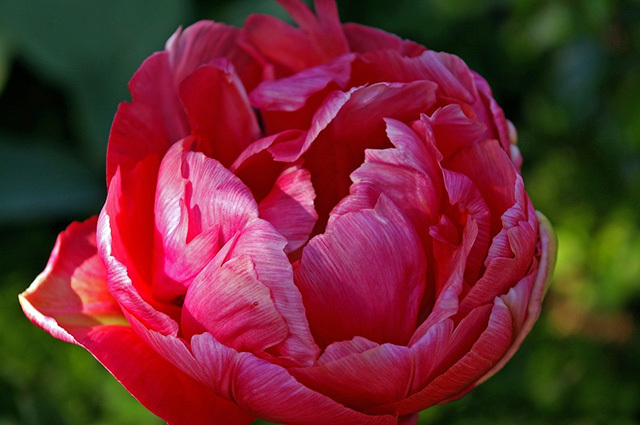 It affects all parts of the tulip, including blooms, stems and leaves. Usually, the fungus manifests as discolored spots on the surface of the flowers and leaves, as well as lesions on the bulbs. The stem may also collapse. Pythium root rot: This disease will stop new shoots from emerging. The bulbs will also develop soft gray or brown spots. Stem and bulb nematodes: If you see spongy brown spots on your bulbs, it may be due to nematodes. They’ll also be mealy and rotted on the inside. 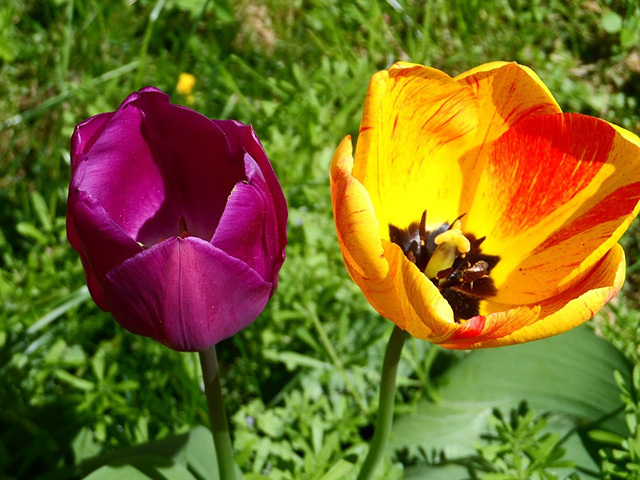 Most tulip diseases are caused by contaminated soil or water. You can prevent these issues from occurring in the first place by using new, high-quality soil and clean water. Always remove the affected plants and, if the problem was fungal, spray the remaining ones with the fungicide of your choice. Don’t replant in areas that have been associated with a disease. With this guide, you’ll be able to have a garden full of the tulip variety of your choice. They provide a pop of color in a simple, attractive shape, and they’re a relatively simple project that both beginner and expert gardeners can enjoy.